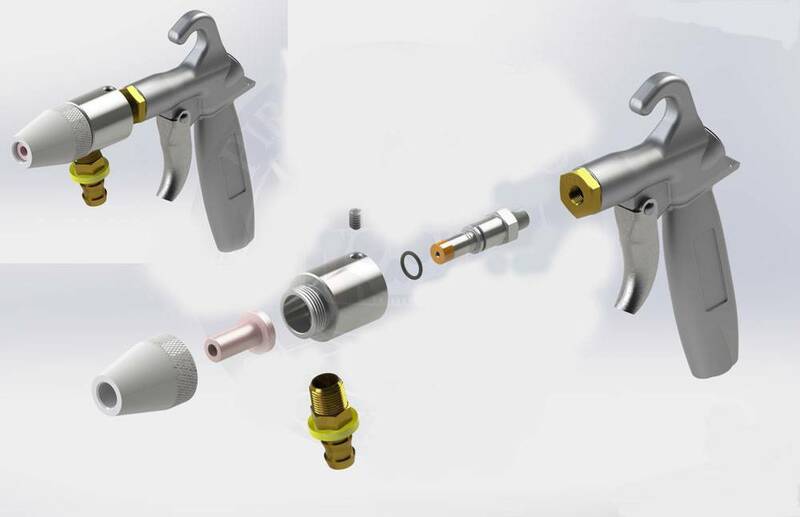 Air jet and suction head are heat treated and hardened to rockwell 58-62 making this gun the smoothest operating and longest lasting trigger gun on the market. Has 1/4" standard female pipe threads for your air inlet hose at bottom of handle and standard 1/4" female pipe threads for pickup tube on power head. This gun can be used with most Skat Blast model 731, 731-TL, 780-TL, 780, 800-T, 850, 850-T, 930, 935, 951, 952, and 960-T cabinets. Can also be used to improve performance with other siphon-fed cabinets.